Hello! First of all, thank you very much for your lessons, it took me ages to find such amazing and free lessons without any "pay-for-more-info"-parts. 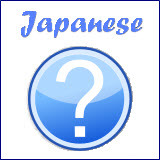 My question is, what would you recommend for learning new vocab and kanji? I'm working through your grammar lessons and I have a few grammar-books, so that's not the problem. I also know quite a few words (maybe... 200? No idea). I have a kanji-dictionary, but somehow I can't get myself to ...read through it. It's so ... well, kind of boring. Do you have suggestions, how I can get (basic!) vocab in my brain? Thank you very much! Just like any other languages, learning new vocabulary in Japanese can be very boring. I still remember the stack of vocabulary lists containing tons of Japanese words distributed by my teacher during my first lesson when I was studying Japanese. Although she did go through those lists along the way, I found it difficult to memorize them and kept forgetting how to pronounce them correctly at that time. But I bet you also know that you can't skip this important part when learning Japanese. Without knowing more vocabulary, you can't construct a sentence, even if it's just a simple one. There is no short cut for learning new vocabulary. The trick is to make the learning enjoyable so that you won't find it a boring stuff. In fact I am still learning new vocabulary and kanji every day. Besides that, it's also important to refresh those that you have already known. 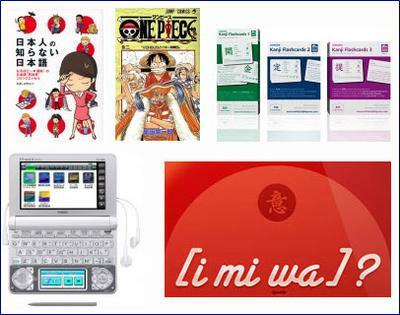 Start reading any Japanese materials like Novel, Literature, Manga, Magazine, Children's book, any Japanese book. Reading can be an effective way to learn new words and kanji. I think it is because when you are reading, you are attracted to the contents and did not put your full concentration on learning new vocabulary. But subconsciously, you get to learn more words by reading more books. The point to note is to read materials where the level are on par with your own Japanese level. This will help you keep reading without having you stuck halfway too often wondering what is the meaning of the new vocabulary. Even if you don't know some new words, give up the idea that you must understand their meanings before proceeding. Move on. Keep reading. You will soon get to know the new vocabulary when you have read enough books. You can always come back to check on those unknown words later. So, start reading some Japanese materials now. For example, when I was learning the adjective "しつこい" (which means insistent, stubborn, obstinate), I found that it's very difficult to memorize it directly. Later I tried breaking this adjective into two parts "しつ" and "こい". "しつ" (室) actually means "a room" and "こい" is the imperative-form of "くる" (come). Therefore, I relate and remember the adjective "しつこい" as "come to my room". This is just one example on how I memorize new vocabulary. You do not need to limit it to only Japanese word, you can even relate it to an English word or word in your own native language, whichever you think it's easier. 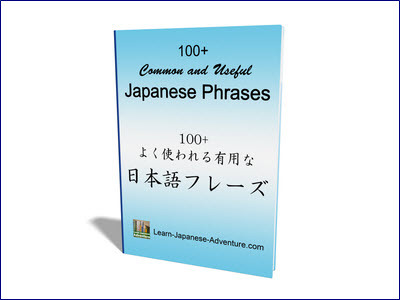 Spend some money to get this Kanji Flashcard Sets: Japanese Kanji Flashcards Volume 1, Japanese Kanji Flashcards Volume 2, Japanese Kanji Flashcards Volume 3. Although you may find it boring, using flashcards to drill and learn new vocabulary has proven to be an effective method. If you can't afford to spend money on the physical flashcards, you can try using the free software version called Anki. Anki is a program which makes remembering things easy. You can download and install the program on different platforms (Windows, Mac, Linux, iPhone, Android, etc). If you are serious about learning Japanese, go get your own electronic dictionary. This is by far the best investment I have made for learning Japanese. Although there are many free Apps that you can download in your smartphone, I think they are no match for the advantages you get from your electronic dictionary over those free smartphone Apps. Even up till today, I still bring my dictionary wherever I go so that I can conveniently check for any new word or phrase when I encounter one. i mi wa. It's quite good for basic word checking considering it's free. The above are just some suggestions based on my personal experiences. You may or may not find them useful. The most important thing is to search for a way that you can enjoy and have fun (or at least don't feel bored) when learning new vocabulary and kanji. Doing something enjoyable will keep you going (learning) for a long period without giving up halfway. In my opinion there is no best way of studying vocabulary and kanji. The key is to maintain learning them without stopping halfway. If you can continue to learn them for at least a year, you will definitely notice the difference comparing to the time before you start. Comments for What is the best way of studying vocab and kanji? Have you ever done RTK ? 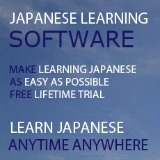 Wondering why it's not listed as a recommended tool for Kanji learning. I find it has completely changed not just my understanding of Kanji itself, but transformed how i interpret words so early on that I finally can see the meaningful connectivity between works. It just makes it so much simplier with the figurative ideas behind those writings in your head rather than just the physical pronunciation or reading/learning in association with a single word. Hi, no I have not done Remembering The Kanji (RTK) before. So I cannot comment about it. For anyone interested to know more about RTK, you can check out this book written by James W. Heisig: Remembering the Kanji 1: A Complete Course on How Not to Forget the Meaning and Writing of Japanese Characters. Vocabulary is good to learn a language.